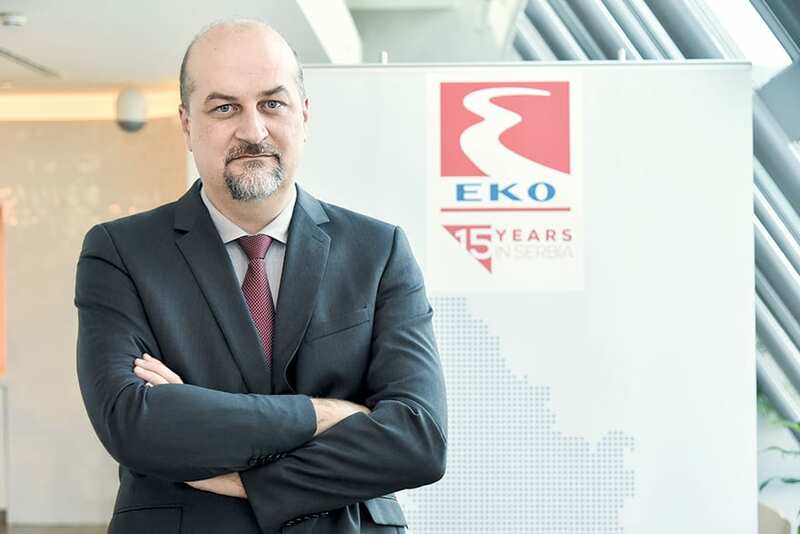 The changes that have arisen are a result of new trends, market requirements, the advancement of technology and the ambitions of the company and the Hellenic Petroleum Group, to which EKO Serbia belongs as the regional leader in the energy sector. When you launched operations in 2002, your goal was to become available with a network throughout the whole of Serbia. Considering that you have practically achieved that, what goal have you now set yourself for the period ahead? – If you compare the appearance and contents of filling stations 15 years ago and today, you will easily notice the challenges we face today in order to respond to new trends. We were the first to offer Serbian drivers differentiated fuels with enhanced characteristics, such as high-octane gasoline, and we continued with the innovative product Diesel aviation fuel – Euro diesel, which has been refined with aviation filters, while there is also a free service for checking key safety points for cars – Pit Stop. Our goals are aimed towards providing drivers with a place where they can find derivatives and power for cars, regardless of whether they are powered by fossil fuels, TNG, CNG or electricity, while at the same time we consider that today’s filling stations are also places that offer many additional services. There is already a stereotypical opinion that Serbia’s citizens have available lower quality fuels than the inhabitants of EU countries. As a member of Hellenic Petroleum, the largest group in this part of Europe, do you have balanced and unified quality within the entire group, regardless of the country in which it is positioned? – Quality and safety have always been our priorities. Regardless of the source of supply, regardless of whether the fuel is produced in our refineries, delivered from imports or domestic production, the consumer must receive the quality they have paid for, in the amount they have sought. That’s why I mention security – thinking not only about the safety of our people at work, but rather also about security in supplying the energy market. It is important for us that our users feel secure and that they will safely reach their destination. I would also like to mention that all types of unleaded and diesel fuels that we sell are additionally enriched with the latest additives, which further improve the performance characteristics by influencing the efficiency and performance of engines. The appearance of filling stations and services are important parts of the impression of the company and its people. 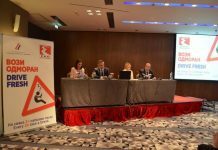 It is less known that Eko Serbia, in addition to its basic business, also deals with what we can call “educational and advisory work”. Your website offers reading material in the form of plenty of useful advice, from tips on how to change tyres to health advice. Why do you deal with these extra jobs, which don’t generate any notable revenue? 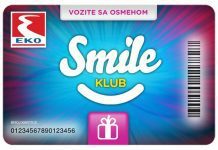 – Part of the DNA of our company in Serbia, and primarily that of the Hellenic Petroleum Group, is corporate social responsibility. May different projects can be in the focus of that, related to socially vulnerable groups, education, the renewal of important institutions, traffic safety etc. However, we are constantly resolved to show gratitude for the community in which we work by supporting local initiatives. We have just sent six students from Serbia to take part in postgraduate studies in Greece, while the occasion of the company’s anniversary saw a protocol agreement signed on a million-dinar donation to the Centre for Children’s Shelters. We are here to stay and develop together, working on improving our society. 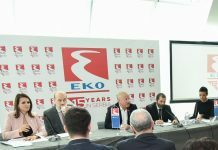 Eko Serbia also generally implements programmes for students and practical work placements. There are few companies involved in this type of challenge. What effect does this training have on the company and students respectively? – If you want a company to advance, it must have young people with new ideas and initiatives, and we must help young people gain experience and educate themselves, while providing them with opportunities to prove themselves. In the coming years, Hellenic Petroleum will support over 50 young people who will embark on postgraduate studies in Crete and Piraeus in the area of oil engineering and economics, and energy rights. The best of them will also get an opportunity to gain employment. Simultaneously, at the local level, as part of our cooperation with the University of Belgrade, students who can participate in practical placements in different company departments are always welcome at our company. Some of them have already become part of the Eko Serbia team. Young people bring new energy and represent a driving force, which, in synergy with the knowledge and experience of their older colleagues, guarantees success. When you arrived 15 years ago, Serbia had just entered transition following the changes of the year 2000. If you could draw an analogy, what has changed in the context of your business in Serbia during the past 15 years? – In the area of our business alone, we can recall derivatives that are no longer used and are not sold on our market, such as D2 diesel and leaded petrol. We could spend a long time talking about the harmful effects of these products on the environment and human health. And today we are talking about differentiated fuels with specially improved features, Euro 5 standards, with extra additives that secure a top performance. Likewise, parallels can also be drawn in the area of consumers, who then drove cars that consumed a lot more fuel, while today we are talking about engines that have much more economical consumption. In the communications domain, technology has enabled us to communicate faster and easier, introduce new higher standards to operational control, but also to be in direct contact with consumers through, for example, social networks or special company programmes like our ‘Smile’ Club, which, apart from rewarding our customers for their loyalty, also enables us to maintain constant communication with them. I would also further emphasise that consumer services and training people are increasingly in our focus. In your opinion, how “fast” is Serbia when it comes to adapting to European standards in the energy sector? – When it comes to regulations that relate to quality standards for petroleum products used as motor fuels, we can say that we have been fully harmonized with European standards for some time. On the other hand, in certain regulations related to trading conditions, the defined conditions may be too harsh for market participants, as they impose additional costs and reduce competitiveness somewhat. However, it can be said that, in terms of legislation, Serbia is following and moving closer to Europe, and in this field one can sense determination to achieve the kind of market stability and regulation that attracts new investments.